In Florence, reminders of the Renaissance are everywhere, from art to architecture. The National Archaeological Museum offers visitors a break with Etruscan, Roman, Greek, and Egyptian archeological artifacts. Artifacts on display at the National Archaeological Museum. 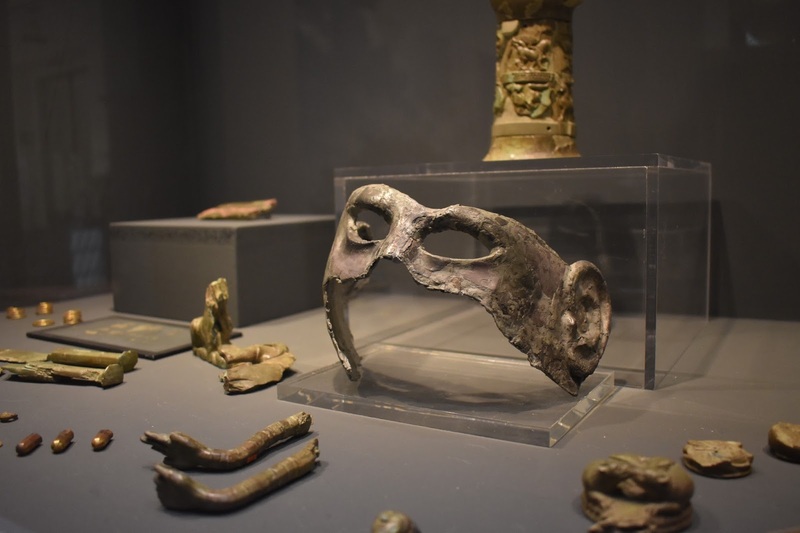 Despite the fact that the museum offers artifacts and insight into time periods unrepresented in Florence’s other museums, the National Archaeological Museum is not a top attraction for visitors (and perhaps even residents) of Florence. However, that might not be the case for long. The Uffizi Gallery recently announced a five-year partnership with the National Museum of Archeology. The partnership will encourage museumgoers to visit the archaeological museum, with free admission within five days of a visit to the Uffizi. To account for lost revenue from ticket sales, the Uffizi will send 2.5% of their own ticketing income to the archaeological museum. 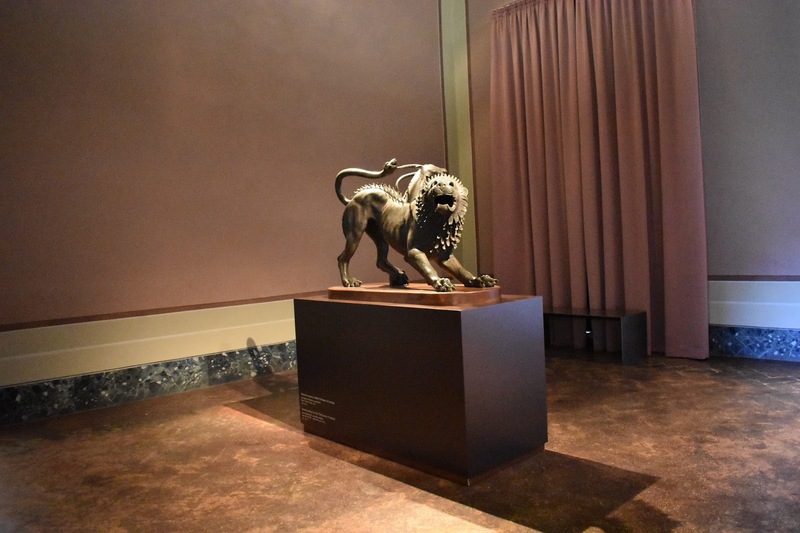 Most famously, the National Archaeological Museum houses the Chimera of Arezzo: a bronze piece regarded as one of the most remarkable Etruscan sculptures in existence. Importance radiates off the object in a way that can be understood even by those uninterested in museums, as the object stands alone in a large room. Other pieces of importance include the Medici Riccardi Horse Head, believed to be used as a model for works by Donatello and da Vinci. Perhaps even more unique than the collection is the atmosphere of the museum. Some sections continue to utilize the original wooden display cabinets from the late 1800’s. Alternatively, other parts of the museum are noticeably dated without charm, such as the backlight text panels available only in Italian. Other areas are modern and contain both Italian and English texts. Mock Egyptian architecture at the National Archaeological Museum. 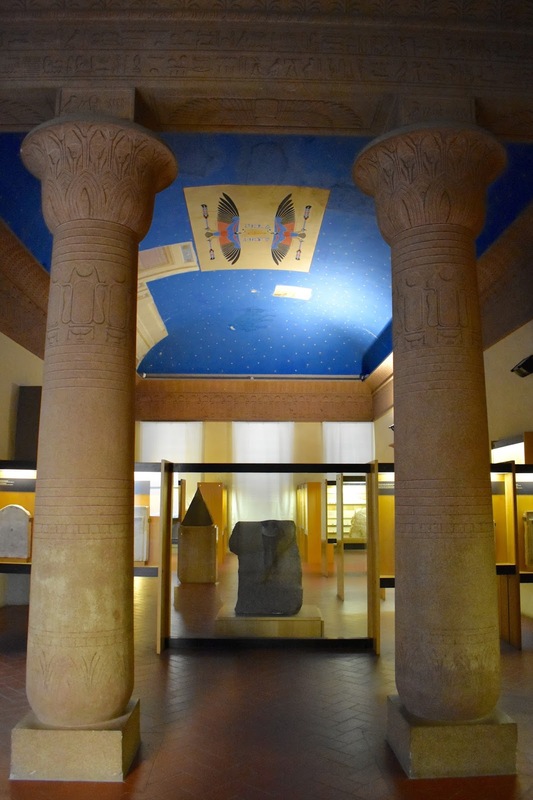 The Egyptian Museum, housed within the Archaeological Museum, boasts pillars, doorframes, and ceilings painted to elicit the architecture of an Egyptian tomb or temple. A garden area allows museumgoers an en plein air experience, complete with Etruscan tombs.